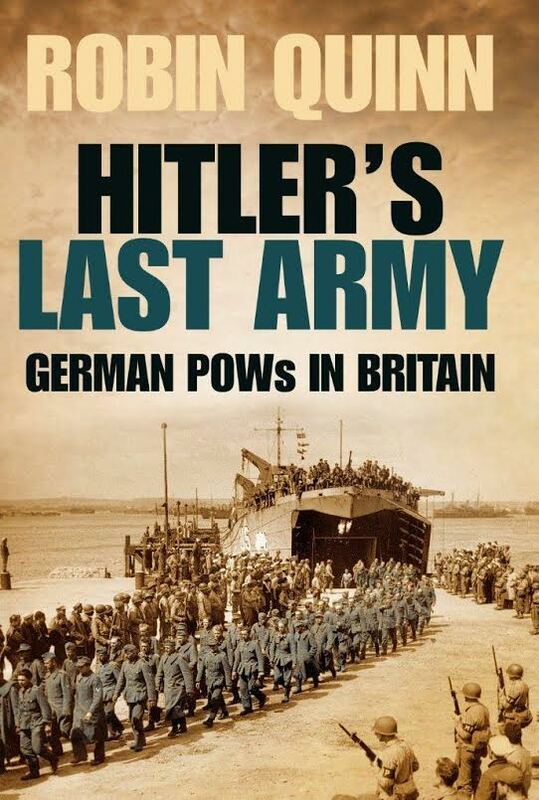 "Probably the best book on the subject in the last 20 years..."
Hitler’s Last Army – German POWs in Britain portrays the lives of the 400,000 German POWs in captivity in Britain between 1939 and 1948, from their capture to their release. 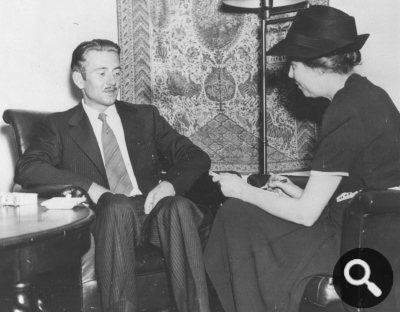 The book draws on exclusive face-to-face interviews as well as on British and German official archives. It reveals how the POWs played a vital part in Britain’s post-war survival while, at the same time, their prolonged detention sparked political uproar. Its central theme though, is the human story of trust, friendship and even romance which developed between the POWs and the local population. On 16 January, Paula D. gave 'Hitler’s Last Army' a five-star review on Amazon! “… a very well written book retelling people’s experiences of being a German POW during and after WWII. The various stories are cleverly interwoven with background information taking one back to a different time which most of us have no knowledge or experience of. Highly recommended for anyone who just likes reading about other people’s lives and experiences. Couldn’t put it down until I’d finished it – very unusual for me." 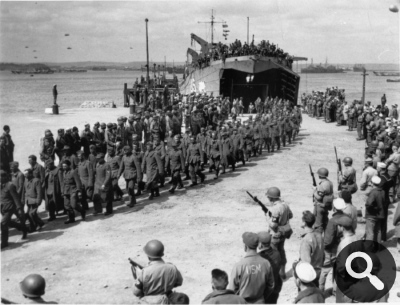 If your father, grandfather, or great-grandfather was a German prisoner of war in Britain, what information can you find about him, and about his time as a POW? When I wrote Hitler's Last Army I had originally intended to include a chapter for readers who wanted to trace a German POW ancestor. In the event, there was not enough space to do so, but this website now gives me the opportunity to set out some basic research hints. A National Archives guide guide on the subject of prisoners of war in British hands is an excellent starting point. 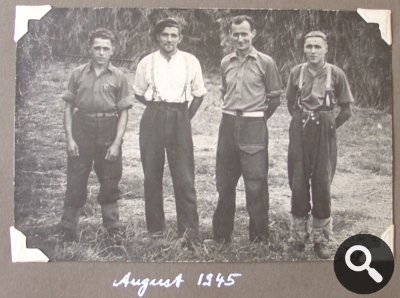 The document contains sections on German and Italian POWs in the Second World War, including links to useful websites. It also lists sources available at the National Archives which, while they are unlikely to contain lists of named prisoners, can provide helpful background information on life in the camps both generally and at individual locations. I'll be adding to this section quite substantially in the future, so if you don't see what you want this time, come back and have another look in the weeks and months ahead, or get in touch through the Contact section of this website. It was intriguing to see history come together, as shots of the recovery were followed by interviews with the daughter and grandson of one of the crew members, bomb-aimer Hermann Ritzel. Referring back to my earlier post about locating POW ancestors, the crash of the aircraft in August 1940 is recorded in The Battle of Britain Then and Now, (After the Battle Publications). The entry, doubtless sourced from records of the time, states that crew member Huhn was killed; Reinhard and Ritzel were missing; and “Essmert” was taken prisoner [the actual spelling was Effmert]. Ritzel was later found and was also taken prisoner. Details such as these could be helpful to anyone researching their ancestor. 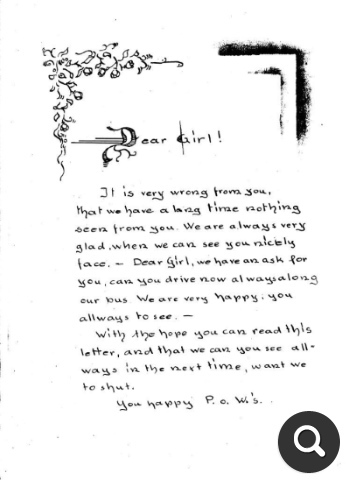 I noticed, in particular, that Ritzel’s daughter said he had never talked with her about his wartime experiences. This can be typical of former members of the German armed forces, and makes it especially difficult to trace that person’s history. On 24 December 1944 we celebrated German Christmas, the festival of joy, behind barbed wire. Everyone looked forward to the festival and the preparations were in full swing. We had the most beautiful Christmas tree in the camp and we had decorated our hut with pictures and fir-twigs. When the Holy Eve arrived the preparations were complete. Outside on the camp square the Christmas tree lights were lit, the choir sang carols and the camp leader spoke some appropriate words. Then we all went into the huts, each to celebrate the Christmas feast. Assembled under the glow of the Christmas tree we sang the most beautiful songs about Christmas and about home. One of the comrades spoke about home and about our fate, and brought us so near to home that all of us had tears in our eyes, and thus many went out silently into the holy night. At every bedside the candles burned and every one of us dreamed of home, and in our thoughts we were at home in the midst of our loved ones. When the Commandant went around the huts to pick out the three best ones, ours got the second prize out of 25 huts. He was very pleased with the cleanliness and tidiness of the huts with their Christmas decorations. We had shown him a real German Christmas. If you go to the above website, click on the tab “Index of Issues” and you’ll discover a downloadable, searchable index of every After the Battle issue (dating from the early 1970s). If you’re very lucky you just might find your ancestor mentioned by name! For example, Hans Teske is to be found in Edition 17, page 53. Back numbers of past issues are available through the website. (Teske was, officially, Britain’s last POW of WW2, since a clerical error prevented him being discharged from prisoner status after the war and, technically, he was therefore still a prisoner until his death in the year 2000.) While you would be very lucky to find the very person you’re searching for in this way, remember that it’s a bit like the lottery … you might just win! Search under the name of a camp where your ancestor was detained and you have a good chance of finding some details of the camp itself at least . If your ancestor was in the Luftwaffe you should look at the excellent After the Battle volumes: The Blitz Then and Now (3 volumes), and The Battle of Britain Then and Now. These record virtually all German aircrew who were taken prisoner, wounded or killed during these air campaigns: they can also be purchased from the website, and are available in some libraries. In the future I’ll be adding more info about tracing German POW ancestors, so do try again soon if you don’t see what you are looking for today. I’ve just received an advance copy of Hitler’s Last Army from my publisher. The book looks and feels great – so it’s a big ‘Thank-you’ from me to all the team at The History Press! An acquaintance of mine who lived on a farm during the Second World War once told me how German prisoners of war had been sent to carry out agricultural tasks, and how they had impressed the locals with their capacity for hard work. After the war one of these POWs, whose home was in the eastern zone, had been reluctant to go back to Germany and had remained on the farm until the mid-1950s.